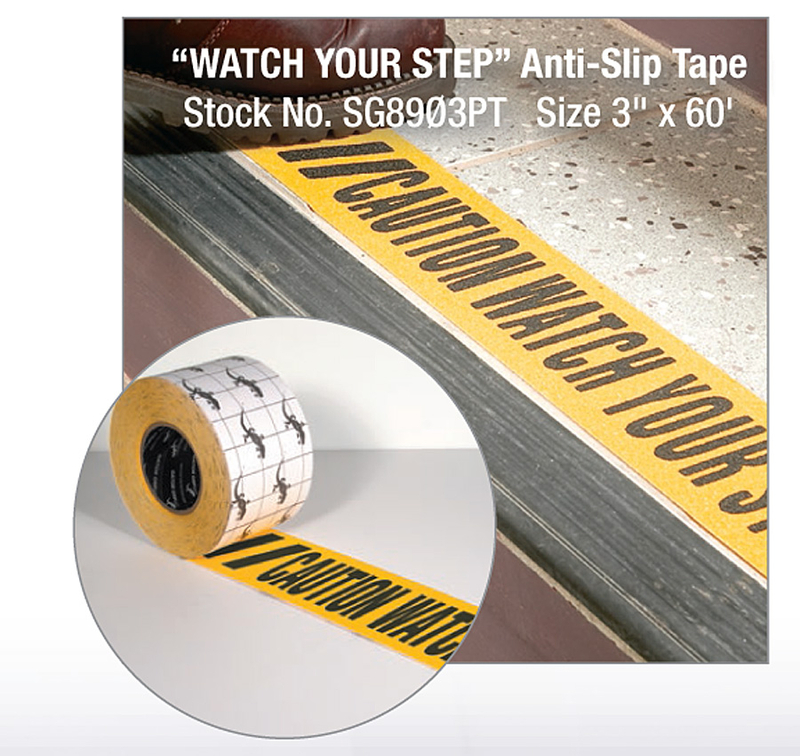 Our Yellow & Black 3 inch "//CAUTION WATCH YOUR STEP//" 60-Grit non slip, non skid tape helps ensure an OSHA compliant workplace. NFSI certified for Indoor/Outdoor use in commercial, industrial and residential applications. 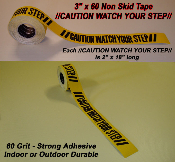 Commercial Grade Tape. Easy to install. Sold in cases of 4 rolls. Priced at $206 per case of 4 - 3" x 60' Rolls.